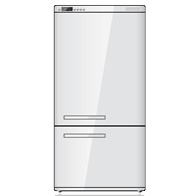 Our appliance repair technicians repair all makes and models of refrigerator repair, freezer repair, washer repair, dryer repair, oven repair, cook-top repair, stove repair, microwave repair, ice-machine repair, air-conditioner repair, heaters, fireplaces, trash compactors, garbage disposals and dishwashers. We specialize in the repair of high-end brands such as: SubZero, Thermador, Viking, Miele, Gaggenau, Bosch, ASKO, etc. And other major brands such as: Maytag, Whirlpool, GE, Kenmore, Sears, Jenn-Air, Frigidaire, Hotpoint, Amana, LG and Samsung. We also specialize in SubZero, Wolf, Viking, Thermador, U-Line, KitchenAid, GE Monogram, Bosch, Asko, Dacor, Miele, Northland, Infinity, Home Appliance Repair, washing machine repair, and more. 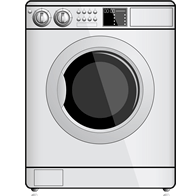 For most appliances the fee for our routine service is just $55 which includes the diagnosis and estimate. We waive the service call upon your agreement to allow us to do the appliance repair and you're only responsible for the cost of labor and parts. Many brands that are foreign and some domestic brands require a service call fee of $65. 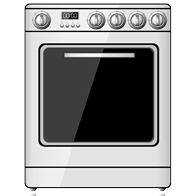 There are some other kinds of appliance service that also require a service fee of $65. 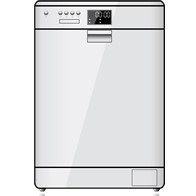 These include commercial appliances, central heating and air conditioning systems, garbage disposals, hoods, and trash compactors. We schedule all appointments at your convenience even if it is the same day. We are always here when you need your appliances serviced. It is our intention to provide the absolute fastest service that is possible. Our slogan is 'Quality Service the Same Day!' We guarantee that we will schedule your appointment with your availability in mind and work to your schedule in order to provide the best dates and time for us to repair your appliance. Immediately following your call we'll determine your needs and immediately send our best technicians to repair your appliances. We are your local repair company for your appliances. That allows us to provide a lower overhead cost and faster service. We also support the community that we work in. When we come to your home, we will diagnose the problem with the appliance, and in most cases immediately do all the repairs on the spot. We respect your house as we would our own and we keep the noise at a minimum and clean up after ourselves. We strive to ensure that the only thing that will have changed after we leave your home is that your appliance is working.